Not only does Vienna have a significant wine-growing industry, the city even has its own state-owned winery. And, once a year, the Cobenzl Winery open day gives visitors a taste of the business (see what I did there?). Weingut Cobenzl (to give it its German name) is owned by the city of Vienna. Not only is it owned by the city, but it’s located within the city limits, too. Astoundingly, Vienna actually has a flourishing vineyard sector, thanks to its hills and climate. Nor is Viennese wine to be sniffed at. There’s a proper vineyard culture here that dates back to Roman days. 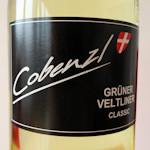 Cobenzl Winery is one of the main players, producing various whites and reds from such local varieties as Grüner Veltliner or Blauer Zweigelt. It’s perhaps most famous for its Wiener Gemischter Satz, a blended white wine awarded DAC status. Once a year, the Cobenzl Winery opens its doors to everyone at the Tag der offenen Kellertür, which translates directly as the “Day of the Open Cellar Door”. Throughout the day, you can take a tour of the winery (in German, I think, but still), and taste some of the excellent wines produced from its many vineyards. Landgut Wien Cobenzl is a city farm that delivery exactly what it say on the label: a series of farm stalls and enclosures where kids (and their older companions) can get up close to farm animals. Waldgrill Cobenzl is a traditional Austrian restaurant I often went to with my kids after visiting the city farm. The 2019 Open Day takes place on Friday, May 17th from 11 am to 9 pm. Entry is free, but if you want to try the wines you’ll need to buy a drinks voucher at the winery. A €5 voucher lets you taste five wines, a €10 voucher lets you taste (surprise) ten wines. Inevitably, the winery is not next to a subway station in the middle of Vienna. It’s out in the hills that edge the city. But, this being Vienna, it’s not too hard to reach by car or public transport. The 38A bus stops outside at the free Cobenzl car park: Parkplatz Cobenzl. The 38A begins at Heiligenstadt station, which is a stop on the U4 subway line.